One day, while rummaging through the distillery’s old, yellowed ledgers, we discovered a sealed envelope: we had no idea how much flavor and how much aroma that envelope contained within. With the utmost respect, we followed step by step the instructions our great-grandfather had sealed in the envelope and crafted our own distilled ouzo. 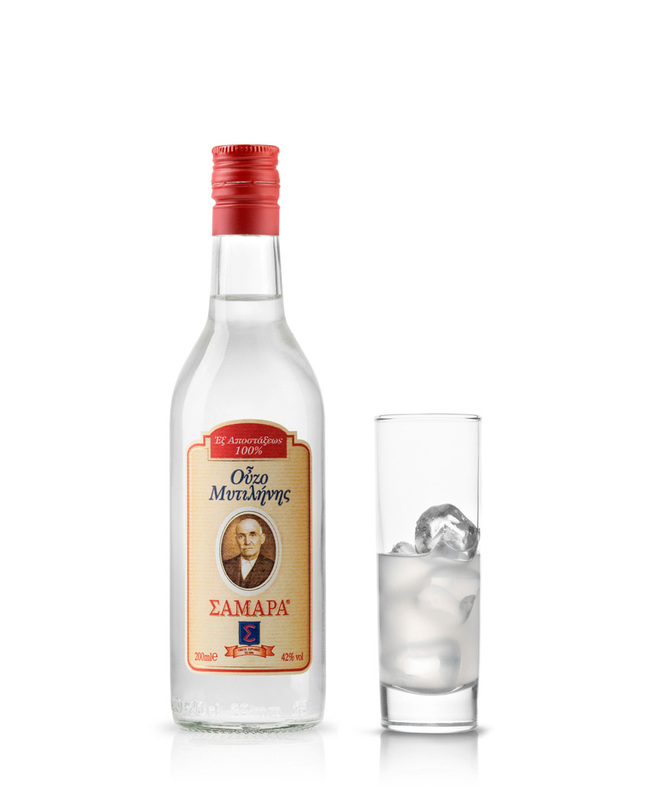 We now have the great pleasure of offering it to you so that its robust and pleasant taste accompanies both your small and great ouzo-drinking moments. 1000 lt. bronze containers are used to simmer (for 9.5 hours) carefully selected ingredients such as aniseed from Lisvori village, barley, processed water from the area of Gera, alcohol of agricultural origin (molasses), mastic from Chios and onions. Only 2/3 of the product is kept (1/3 is discarded). 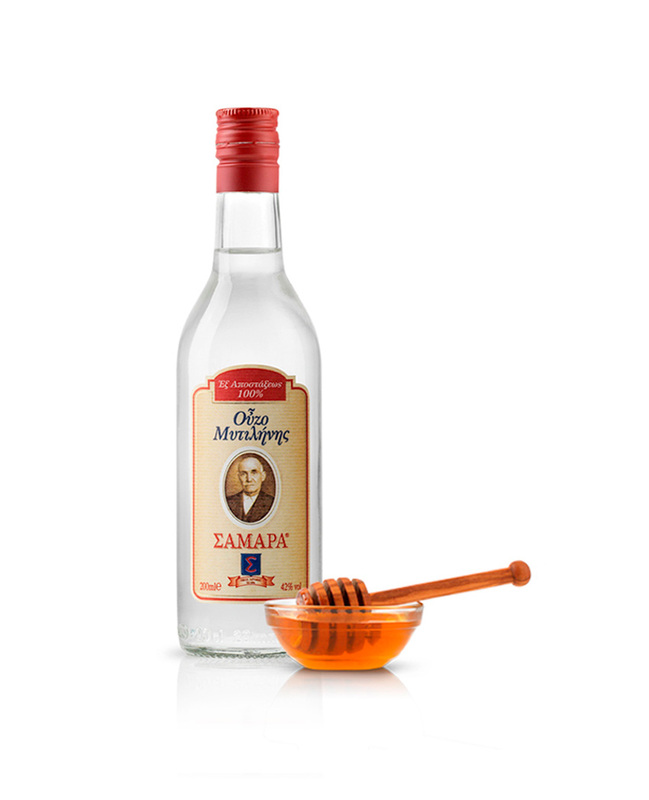 The approximately 69° “heart” of the distillate is then diluted in purified water before adding pure awarded honey by the beekeeping association of Lesbos, instead of sugar. The end product is ouzo of exceptional quality. To be savored along with: roasted shrimp, roasted octopus, local cheese (ladotyri). It also “favors” oriental cuisine delicacies.